Thank you for your interest in having Dwight speak to your group. Dwight loves to speak about his book and related subjects, and is honored by your interest. 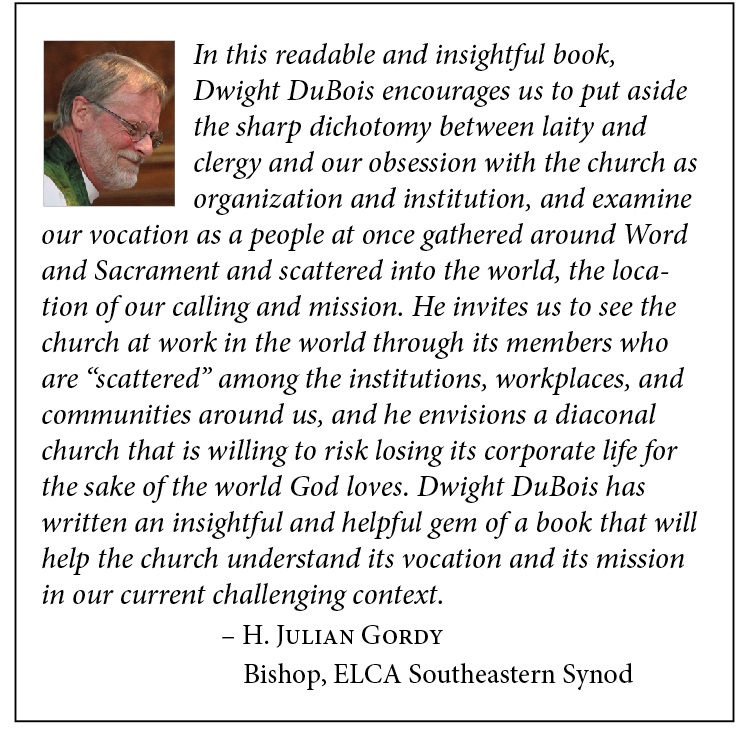 Like the book, Dwight’s work is intended to benefit those who lead or are learning to lead congregations in paid, elected, and/or volunteer positions. This includes pastors in congregations, but it also includes program staff, board and committee members, seminarians, and judicatory leaders. Dwight would love to meet with your group in person. See below for a list of topics that Dwight is prepared to address. 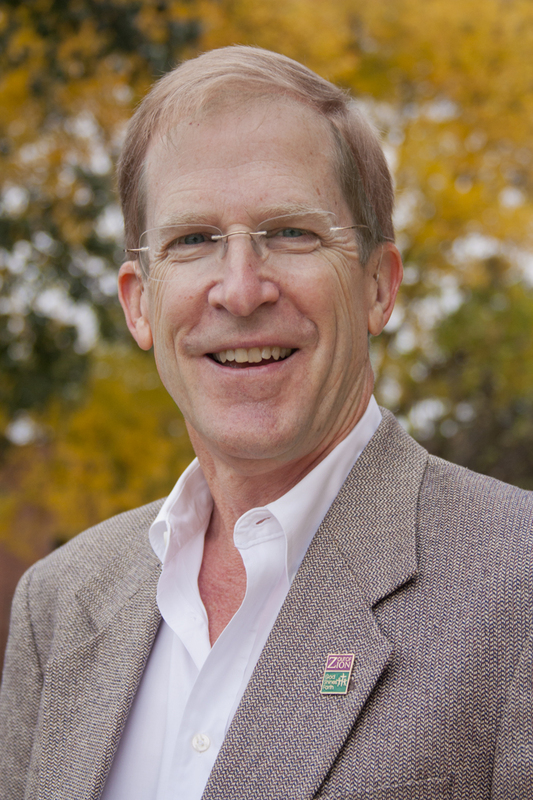 Dwight is also available as a workshop or retreat leader, and as a consultant. Click here for a list of Dwight’s past and upcoming events and appearances. Instead of having Dwight travel to speak with your group, you can have him meet with your group virtually via video conferencing. By using free or inexpensive online services, Dwight can deliver a lecture with visuals, as well as take questions and respond to comments. Dwight can also offer consultation services virtually. This technology saves money and time at the same time that it provides a highly effective learning experience. Another option would be to conduct an online class over the course of several weeks. 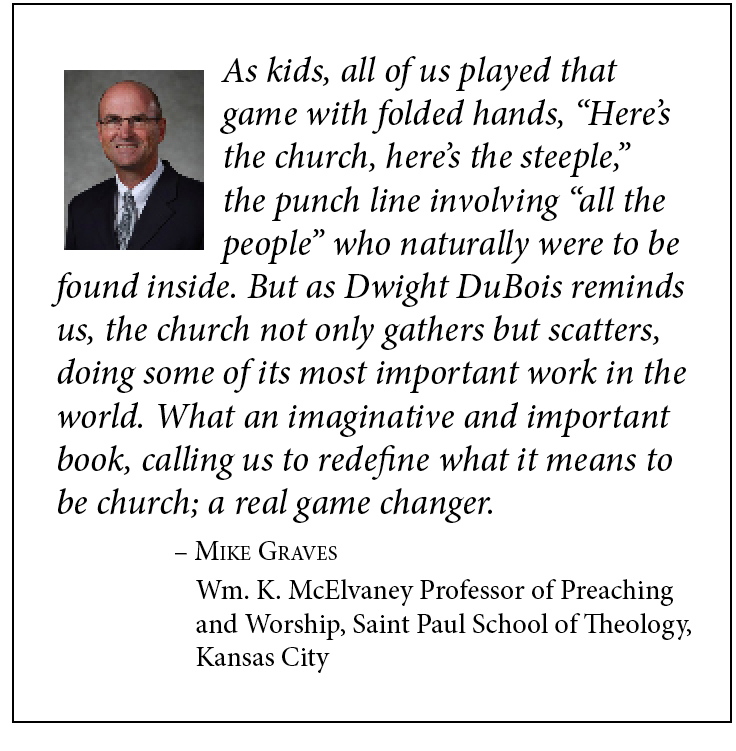 Wartburg Seminary is willing to host the online class that Dwight teaches at the seminary for your group. If conferences, presbyteries, dioceses, synods, or other organizations gather a group of 10–15 participants, Wartburg will make the course available at your convenience. The promise of the scattered church. When we become as good at the scattering as we are at the gathering, both congregational leaders and members will find new meaning, vitality, purpose, and even joy in their various ministries. 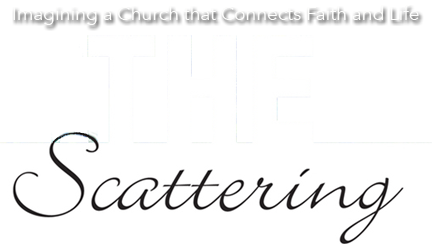 An introduction to the gathered–scattered church. The language of the gathered–scattered church holds the potential to move us beyond lay/clergy dichotomies, and it provides fresh ways of interpreting who we are and what we do as the church of Jesus Christ. The autoimmune disorder of the Body of Christ. The promise of the Priesthood of All Believers has been with us for centuries, but it has rarely come to fruition. 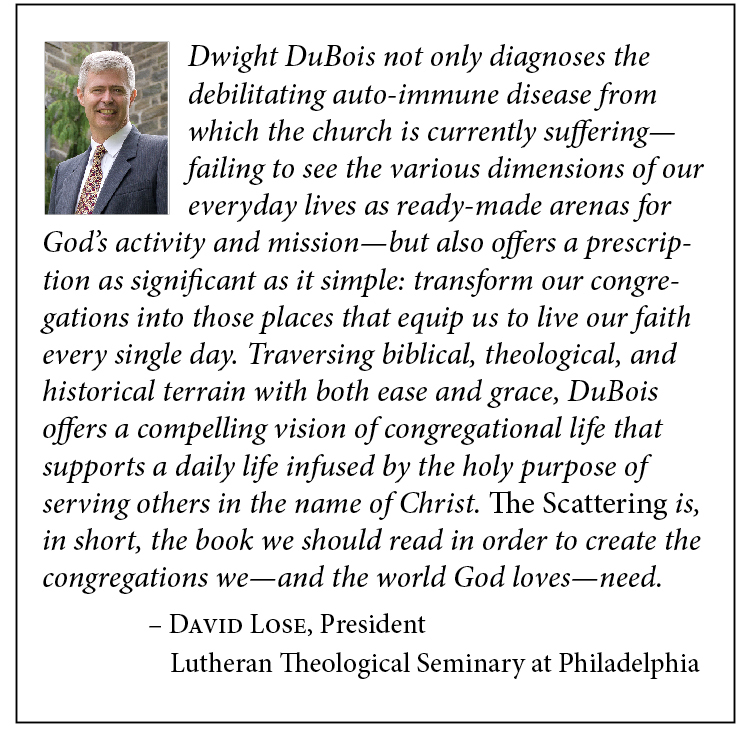 Explore how the autoimmune disorder originated and and how it affects the church. Find practical ways to overcome it. 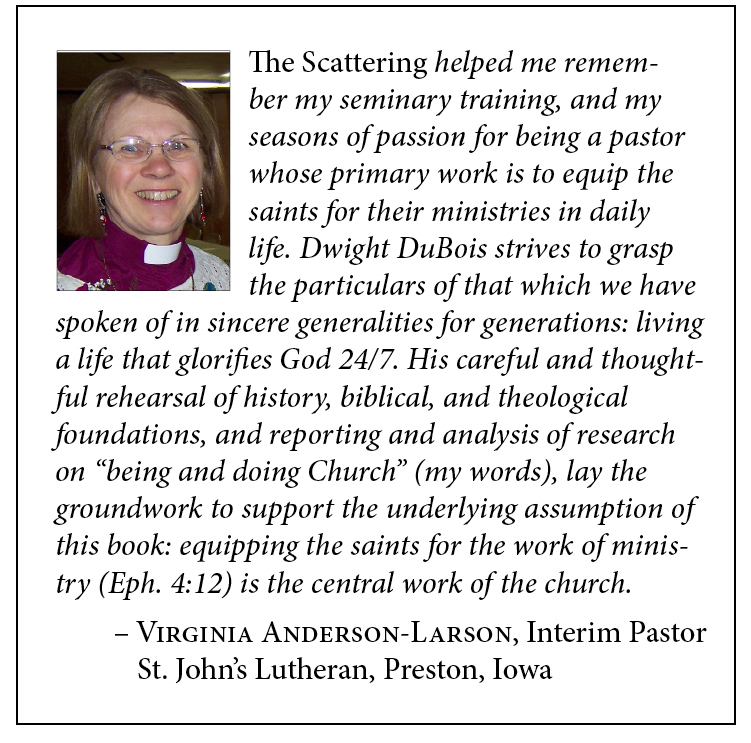 Creating a community that equips the saints for ministry. “Equipping the saints for the work of ministry” (Eph. 4:12) is not just the pastor’s job—it’s the work of the community. Explore the biblical background for this work, and find practical ideas and resources for creating a community that equips its members for ministry in the world. See the church through scattered-church lenses. What happens when we take off our gathered-church lenses and look at who we are and what we do through scattered-church lenses? Conversations with church leaders over such things as stewardship and evangelism has shown that excitement and energy erupt when we reconsider our work from a scattered church perspective. Other variations as inspired by your context. Having read the book, your group is invited to suggest other topics that arise based on your context, your call, and your imagination. Leadership in the church is not just a matter of good business sense. It’s not just a matter of having a vision and convincing others to follow. It’s not a matter of being a winsome leader. Leadership in the church involves listening for God’s still small voice and helping God’s people become what God intends us to be. Sacred practices (e.g., prayer, discernment, study) are vital to the leadership of the church and hold the power to bring new life and vitality to our ministries. A pastor once quipped, “If you keep your nose to the grindstone long enough, you’ll wind up without a face.” When we keep our nose to the grindstone, we rarely give ourselves time to consider what we are doing, why we’re doing it, and most important, what God might be calling us to do differently. Rather than having experts provide advice based on their experience, this retreat depends on the shared experience and wisdom of those who are present. Pastors from seven denominations have participated in this retreat and have described it as one of the most helpful things they’ve ever done. 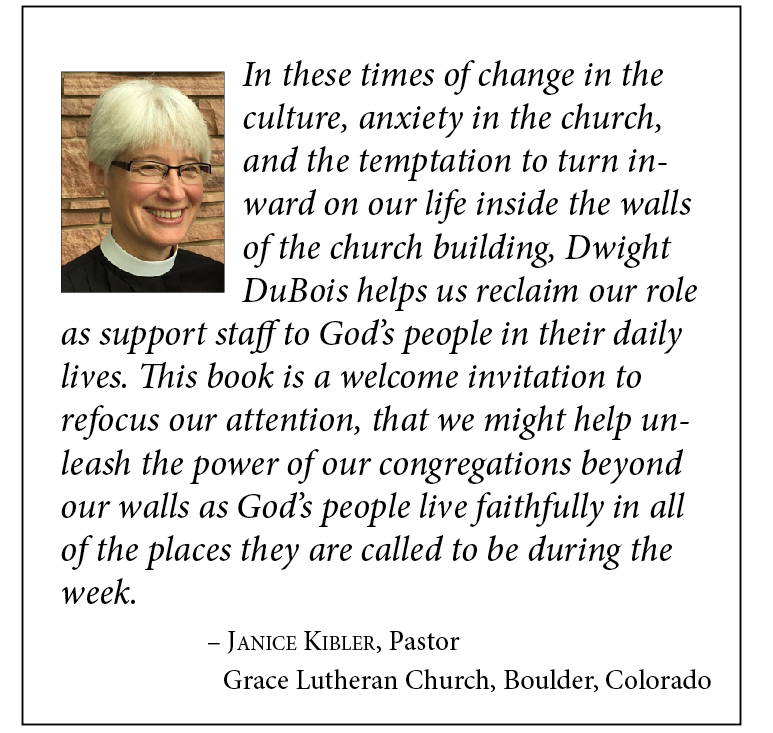 Dwight is available to walk with congregational leaders as they work to foster adaptive change. Together, they will seek awareness and understanding of the congregation’s current ministry and ministry context. Congregations will be empowered to experiment with new ministries that respond to their setting, their call, and their gifts.